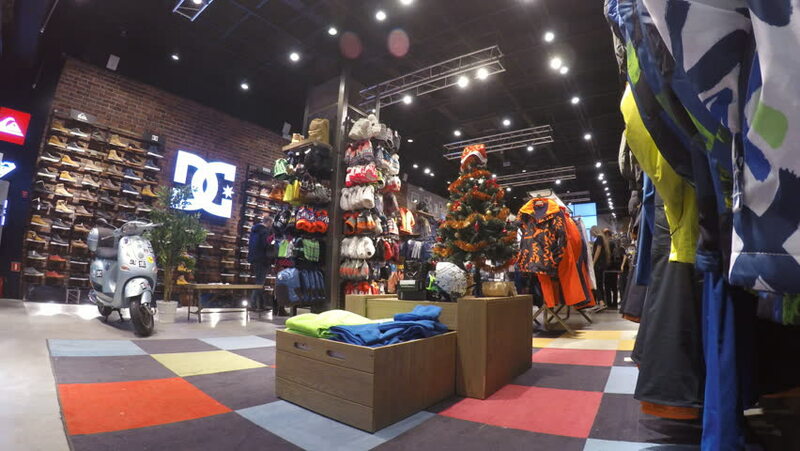 Rostov - on - Don, Russia - December 20, 2015: Christmas shopping mania in clothing store DC. Time lapse. hd00:21Bangkok, Thailand March 16, 2016: Night view of the sidewalk near the MBK mall in Bangkok. There are many street vendors selling different things such as fashionable clothes.